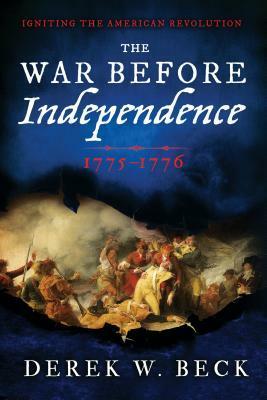 The War Before Independence transports readers into the violent years of 1775 and 1776, with the infamous Battle of Bunker Hill – a turning point in the Revolution – and the snowy, wind-swept march to the frozen ground at the Battle of Quebec, ending with the exciting conclusion of the Boston Campaign. Meticulous research and new material drawn from letters, diaries, and investigative research throws open the doors not only to familiar figures and faces, but also little-known triumphs and tribulations of America's greatest military leaders, including George Washington. Wonderfully detailed and stunningly layered, The War Before Independence brings America's early upheaval to a ferocious boil on both sides of the battlefield, and vividly captures the spirit of a fight that continues to inspire brave hearts today.